For this edge I stitched the gold beads on first, I stitched them a little further apart than I did on the edge I showed yesturday and it has helped the beads to sit better, It is also a more delicate edge…To form the pattern I went through a gold bead then picked up a green, a gold and a green bead, I then went back through the red bead and picked up another green bead before going through the next gold. 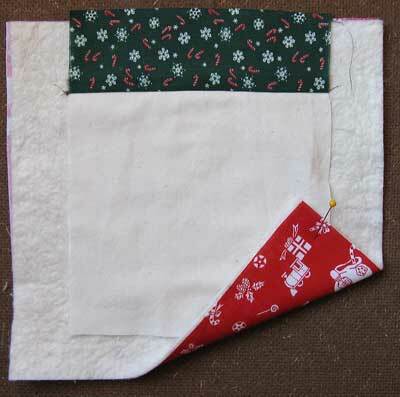 Cut the front and lining for the pocket 6 inches square…place pocket and lining right sides together and stitch a 1/4 inch seam across the top…turn right side out and iron seam across the top. 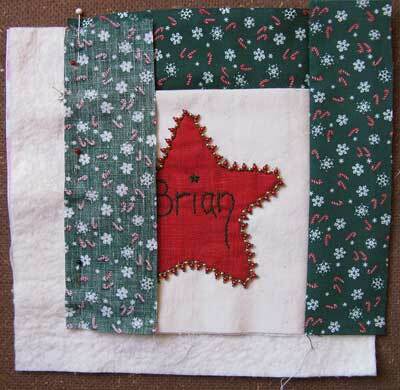 Stitch the first border at the top of the centre square, when stitching you are sewing through all the layers so that it self quilts the wall hanging as you go. 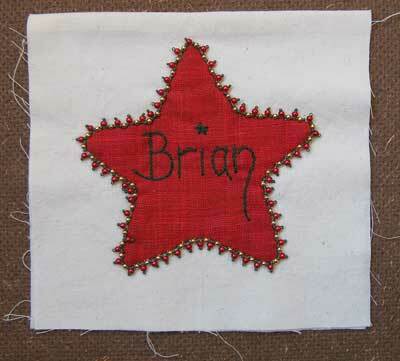 Sew on side borders and then bottom border. 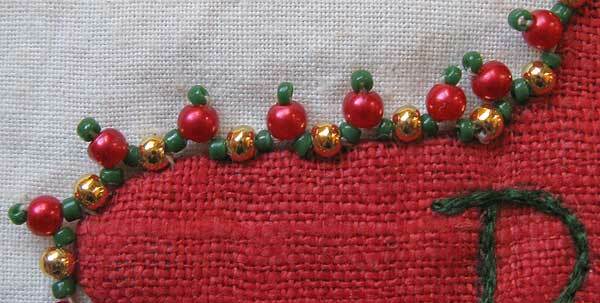 To finish the Santa pocket bind the edges (Instructions for one method of binding can be found here) and add a ribbon hanger.